News Associates - Why study at News Associates? Why study at News Associates? 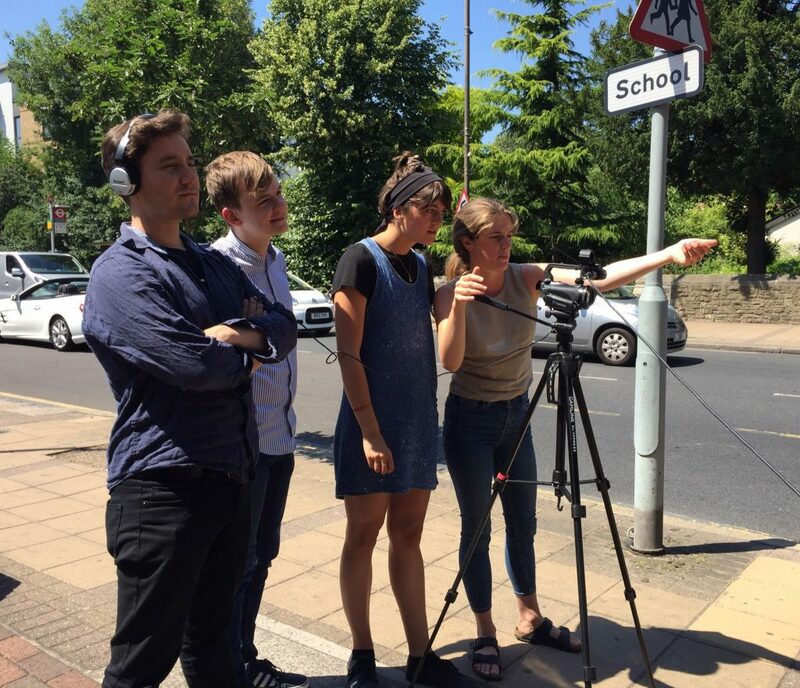 There are lots of places where you can train to be a journalist, so why study with News Associates? Well, we’re proud to be the UK’s number one NCTJ journalism school, but we do things differently. You’ll be treated like a journalist from day one, so expect it to be fast-paced and intensive. We’re a young team, we’re really passionate and driven and we have high expectations. We don’t sit around and talk about the good old days on Fleet Street – we live and breathe the changes happening in the media right now. How Instagram can be used to find stories, how changes in technology impact the content we produce and how SnapChat influences how we shoot video content. No two courses are the same, because they shouldn’t be. We will work as hard for you as you work for us. An unrivalled job record. You will find our trainees making their mark on the front pages of our national and regional newspapers, presenting and reporting on the BBC and Sky News, working internationally for some of the most respected names in journalism from Reuters to the New York Times to CNN and the Wall Street Journal and producing cutting-edge multimedia features for VICE and The Huffington Post. They are news reporters and feature writers, foreign correspondents and sports journalists. See our list of recent trainee job destinations. The best exam results in the country. Again and again. 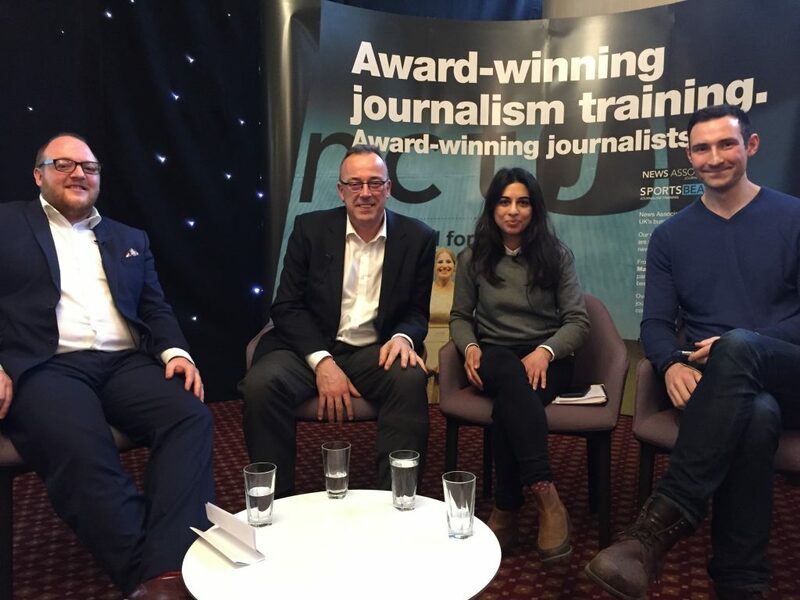 News Associates (Manchester) was named the UK’s top fast-track and top overall journalism course by the National Council for the Training of Journalists in November 2018. News Associates was also recognised for our top-ranked fast-track course in 2013 (Manchester), 2014 (London), 2015 (London), 2016 (London), 2017 (London) and 2018 (Manchester). According to the most recent NCTJ league tables (published January 2019), News Associates trainees make up a whopping 32% of all gold-standard graduates in the UK. In 2017/2018 1,756 candidates enrolled on 70 accredited courses across 37 approved centres nationwide according to the most recent NCTJ annual report. Of those 1,756, only 237 achieved gold standard (A-C in all modules and 100wpm shorthand) according to the NCTJ league table – making the national average gold-standard pass rate for the hugely-demanding NCTJ Diploma in Journalism 13%.Of these 237 gold-standard trainees, 77 were trained at News Associates. Award-winning trainees. 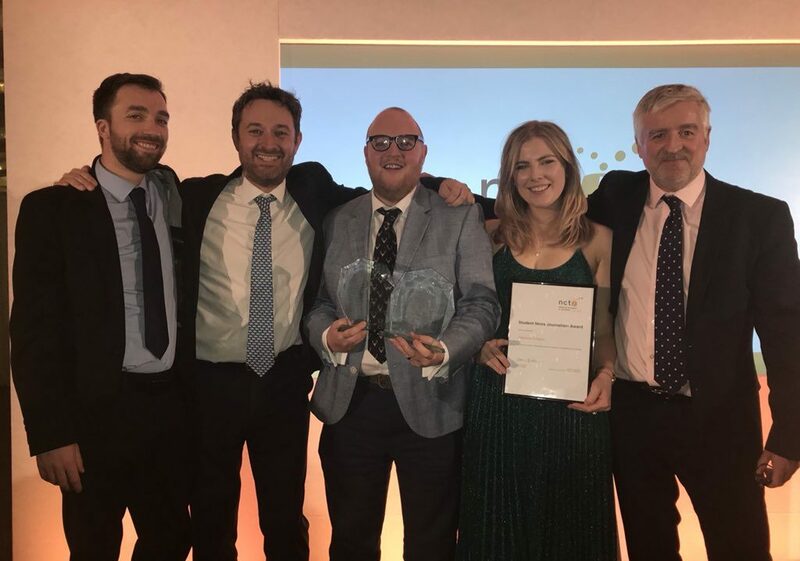 It’s not just about being good in the classroom but being great in the newsroom – and our list of recent graduate awards underlines this approach, which is at the heart of our training. 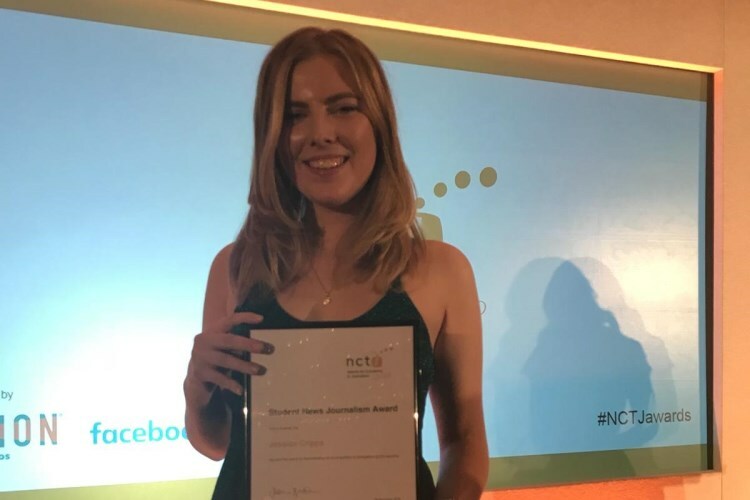 News Associates alumus Jessica Cripps (Kennedy News and Media) was crowned NCTJ Student News Journalist of the Year at the Awards for Excellence 2018. News Associates graduate Anna Schaverien (The New York Times) was named NCTJ Student Journalist of the Year at the annual NCTJ awards in 2017. 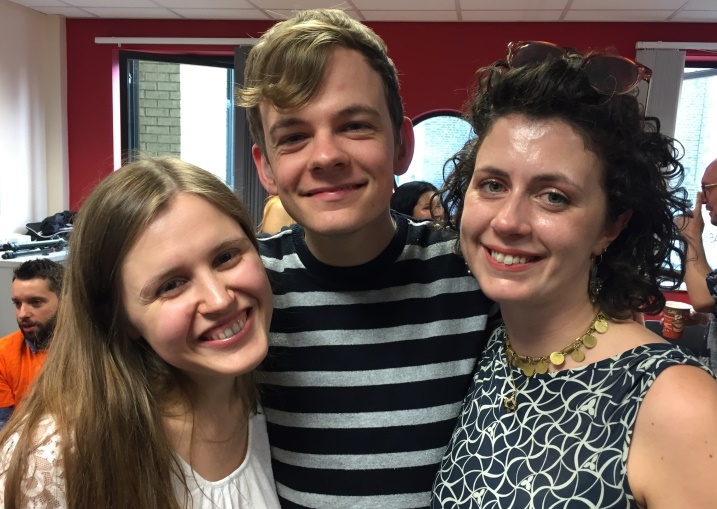 It was the third straight year a News Associates graduate has won the prize, following Sara Oldfield’s (Fabulous magazine) win in 2016 and George Gigney’s (Boxing News) win in 2015. There were also wins for recent graduates Neil Athey (Lancashire Telegraph), Katie Falkingham (BBC) in 2017. A practical approach. Journalism can’t be taught from a textbook – you have to get out there and do it, make a few mistakes along the way and learn from them. 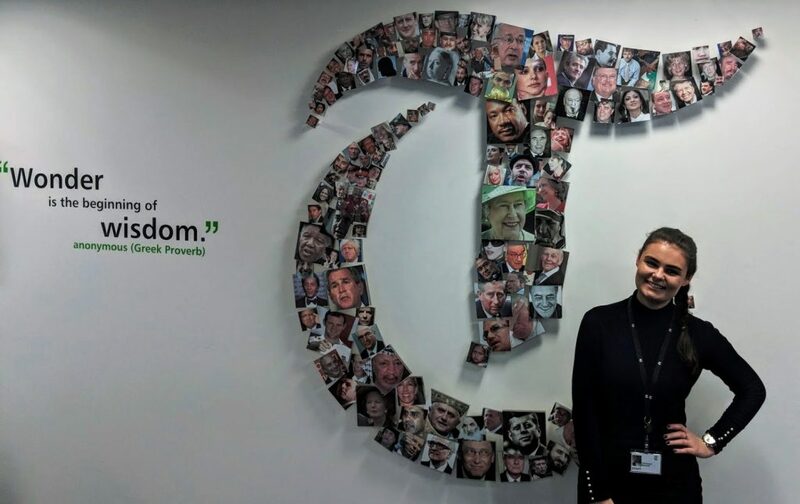 We are part of one of the UK’s busiest press agencies, meaning we can draw on the skills and experiences of their editors, journalists and broadcast specialists. Work placement is fully-integrated into our programmes, with full-time trainees spending a day a week on external or internal placements. And we’re here to help and give advice so you take the most from this time. Trainee satisfaction. 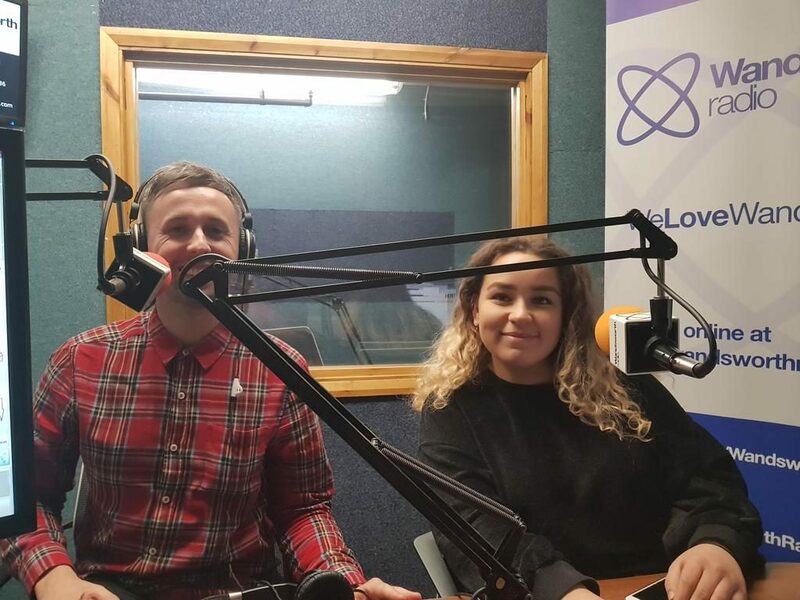 Journalism is a team sport and there is something rather special about being part of #TeamNA – we love staying in touch with graduates and hearing about their successes. One of the biggest reasons trainees join our programmes is because they’ve been recommended to us by journalists in the industry. Check out our most recent testimonials. JournoFest. Every year we host a journalism conference packed with journalists from national newspapers and broadcasters and emerging digital platforms. In 2019 our lucky trainees and special guests heard from legendary columnist the Fleet Street Fox and were in awe listening to The Times chief reporter Sean O’Neill discuss his investigation exposing Oxfam’s cover-up of sexual exploitation by aid workers in Haiti. Panels also covered topics including data and digital journalism and taking your first steps in the industry. In 2018 our trainees and alumni heard from Sky News senior correspondent Ian Woods and The Guardian Brexit correspondent Lisa O’Carroll alongside panellists including BBC News senior broadcast journalist Narinder Kalsi, Sky News political correspondent Lewis Goodall and many more. In 2017 BBC News anchor Maxine Mawhinney was our keynote speaker and we were in conversation with BBC sports editor Dan Roan. With other speakers and panellists discussing everything from investigative and political journalism to social media. Read the 2017 full line-up here. Of course we would say all that wouldn’t we, and we teach our journalists to never always trust what they are told. We expect people that want to study with us to do their homework and ask us difficult questions – where you study is the most important first decision in your journalism careers. You can always attend one of our free journalism workshops to give us a grilling – click here for details – or give us a call on 0203 026 3781 or email training@newsassociates.co.uk. We take pride in our award-winning training and we have worked hard to become Britain’s biggest and best NCTJ journalism school. We’ve been number one for so long we’ve got used to it – so we need the best talent in the UK to help us stay there. Click here to see what some former trainees made of their time with News Associates – and the things they wish they’d known. In 2017, the national pass rate for the hugely-demanding gold-standard NCTJ Diploma in Journalism was 20%. In the same academic year, News Associates courses achieved gold-standard pass rates of 94%, 78% and 72%. In London – where we have been the top-performing journalism school for 11 straight years – our gold-standard pass mark on our fast-track course of 72% is 44% higher than the Press Association, the next London-based course on the results tables published in January 2018. Click here to compare and contrast fast-track courses. This means we boast an unrivalled network of successful trainees, meaning that whatever newsroom you find yourself in, you’ll never be far from a News Associates alumni, ready to give you advice as you take your first steps into the industry. Our fast-track courses last 22 weeks which includes one day a week on placement, putting theory into practice. We believe this is the optimum length of study – underlined by our results – but we also offer flexible study options, including the part-time NCTJ Multimedia Diploma. Our unique ‘Earn While You Learn’ courses run over 40 weeks and take place on Monday or Wednesday evenings and Saturdays. They run each October and February and are the perfect way to become a qualified journalist while maintaining an income. Whether you study with us full or part-time, we make sure we don’t just prepare you for the classroom but the newsroom. 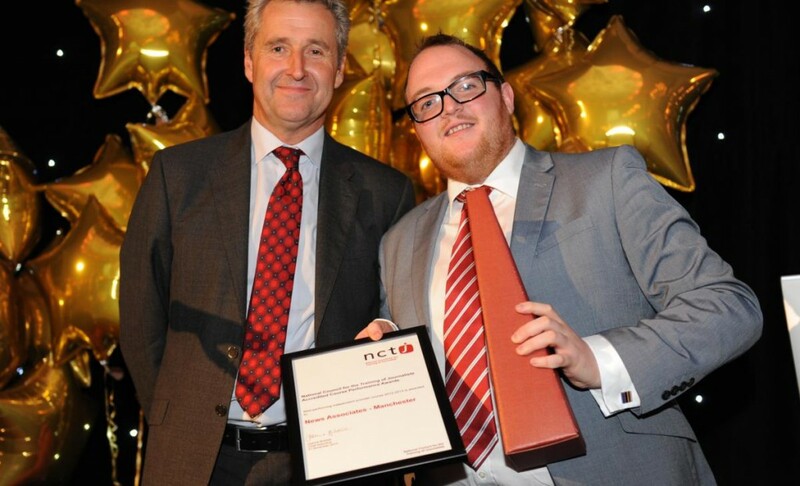 This is why our trainees regularly dominate the NCTJ Awards for Excellence. Former News Associates trained winners of NCTJ Awards for Excellence in Journalism include: Jessica Cripps (Kennedy News and Media), Anna Schaverien (New York Times), Katie Falkingham (BBC), Neil Ashey (Lancashire Telegraph), Sara Oldfield (Fabulous Magazine), Lucy Pasha-Robinson (The Independent), Richard Amofa (The Daily Telegraph), Ross Lawson (Sportsbeat), George Gigney (Boxing News), Leonie Chong Fong (Metro), Naomi Firsht (Jewish Chronicle), Jordan Bluer (Dover Express), Nemesha Balasundaram (Irish Post), Paul Berentzen (Blackpool Gazette), Jon Robinson (Lancashire Telegraph), Ellie Ross (The Sun), Lauren Potts (BBC), James Coldwell (Hull Daily Mail), Thomas Allnut (Press Association), Emily Koch (Bristol Evening Post), George Scott (Eurosport), David Jordan (The Times), Jessica Baldwin (Time Out), Josh Burrows (The Times), Hardeep Matharu (Epsom Guardian), David Churchill (London Evening Standard), Jennifer Morris (Surrey Advertiser) and Adam Knight (Hereford Times). 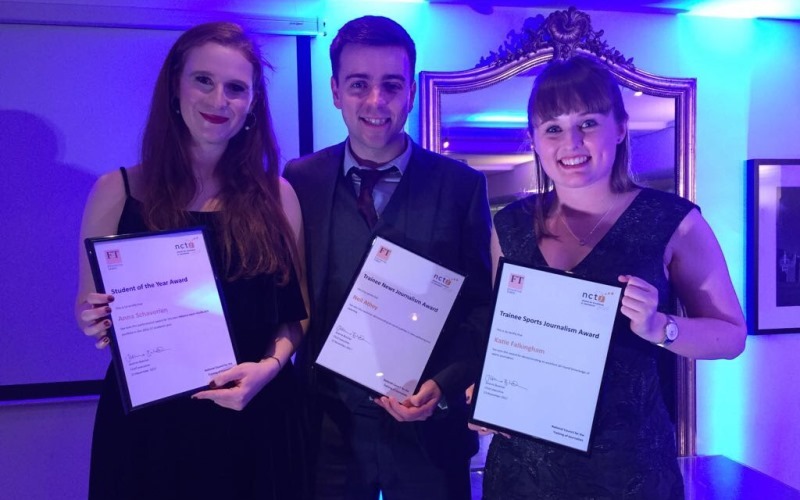 In addition, our former trainees Joanne Carter (ESPN), Lindsay Watling (London Evening Standard) and Hannah Scott (Sunday Times) have all won the NCTJ’s top shorthand prize in the past and our trainees take pride in earning the best shorthand results in the country. Click here to see the journalism awards won by our trainees. News Associates have also trained more journalists who have qualified as senior reporters, via their NQJ qualification (formerly NCE), than any other training provider. And the top marks in the national NQJ qualification are invariably secured by those we trained. Our unrivalled alumni network stretches around the world – with former trainees working across the UK, in Australia, New Zealand, Canada, the United States, Hong Kong and across Europe. Our trainees have secured jobs across all areas of the media industry, in print, online, in radio and broadcast. When these publications, both big and small, want to fill a position, they look no further than News Associates where they trust the trainees to get the job done to a high standard. Click here to see job destinations of recent trainees. 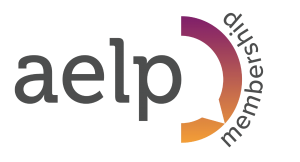 If you add in our extensive industry contacts and a mentoring relationship that goes beyond the boundaries of your time on the course, we are confident that you can’t make a better decision.